Do you sometimes feel stuck when you sit down to write? Do you wish you had someone to empathize with the challenges of the creative process – someone who could cheer you up and remind you that you have the talent and power to succeed? Sports teams have cheerleaders who raise the overall mood by cheering at each of their matches. The authors of this world, whether experienced or aspiring, need cheerleaders too. Enthusiasm and support allow writers to gather their wealth of experience to enchant and entertain their fans. I’ve been lucky to have many amazing cheerleaders in my life. And in my life as a writer, there has been one particular cheerleader who made all the difference. She helped me finish my first novel and showed me what I could achieve if I just listened to her uplifting feedback (and that of other well-meaning friends) and continued writing. She is also the one who inspired me to write this book and give back the gift of cheerleading to others. 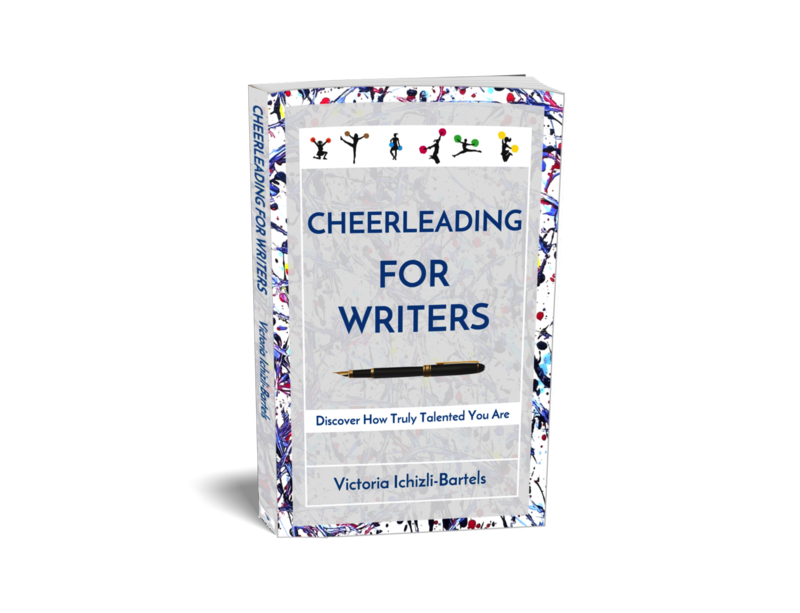 Cheerleading For Writers contains twenty-six articles and essays on various aspects of writing, publishing, and life. In them, I share personal experiences about my writing adventures and reveal what I learned from teachers and cheerleaders along the way. I hope it will help you discover the pearls inside your own writing and creativity. I wish you joy while reading this book and immense pleasure in your creative processes! If you consider the material, posted and referenced here, as useful, then I would appreciate your donation. Please, feel free to decide how much you would like to contribute. Consider it as a direct investment into production of more content, which is of value for you. This investment will allow me to take time from other projects and devote to work on this material. You are also giving further to others, who cannot afford to make a payment for this information. Your contribution through comments and feedback will be as highly appreciated and will help this material be of high quality and up-to-date.